Piazza Vittorio is a portrait of Rome’s largest square as sketched through the opinions and impressions of its residents. 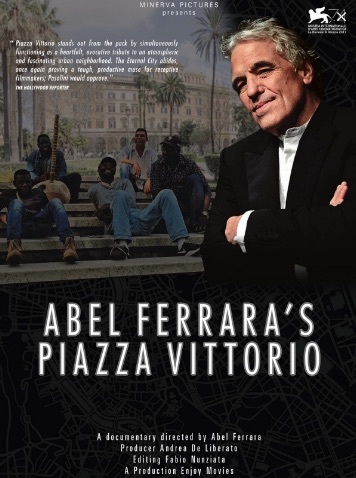 Because it is a film by Abel Ferrara – a director known for probing underbellies and deeply unpleasant, even irredeemable characters – we can expect it to be raw, and because he is now resident of the eponymous piazza we can expect an insider stance. Featuring Willem Dafoe.